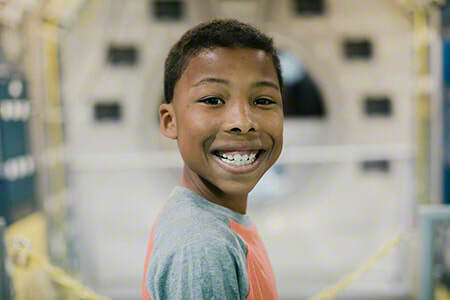 Get to know Jamal, a great kid with a flair for the arts! This creative child delights in artistic pursuits such as drawing, coloring, and painting. Jamal enjoys keeping himself entertained with his best-loved activities, such as watching movies and playing video games. A social child, he delights in being with people and is known to enjoy having conversations with others. Blue and green are his colors of choice. This fourth grader interacts positively with his classmates and teachers. A two-parent home is preferred for Jamal; however, his caseworker will consider all family types. Jamal has significant relationships that he would like to maintain following placement. Financial assistance may be available for adoption-related services.